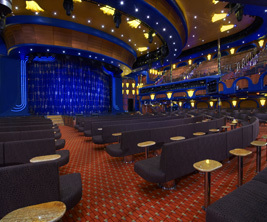 Carnival Cruise Lines recently announced that comedian Kathy Griffin will be the latest act to join the line’s star-studded Carnival LIVE lineup in 2016. The two-time Emmy and Grammy winner will bring her distinctive comedic styling aboard the Carnival Fantasy and then the Carnival Breeze when the two ships are docked in Cozumel, Mexico in February 2016. Kathy Griffin is famous for using current events and pop culture to build her ever-growing comedic resume, which now includes the Guinness World Record for most stand-up specials. We’re thrilled that cruise lines continue to go after top-tier talent for their live shows, and we can’t wait to see who Carnival books next! Tickets for Kathy Griffin’s highly sought-after Carnival LIVE performances need to be purchased in advance. General admission tickets are only $50 per person, while VIP passes are $200. VIP ticketholders will have access to seats in the first four rows, plus a commemorative concert pass and exclusive photo opportunity with Ms. Griffin. Both ticket options present a significant discount compared to the going rate for Kathy Griffin’s shows at land-based theaters. 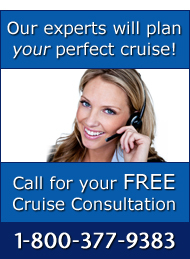 For more information on cruising with Carnival, please contact one of The Cruise Web’s experienced cruise consultants at 1-800-377-9383.